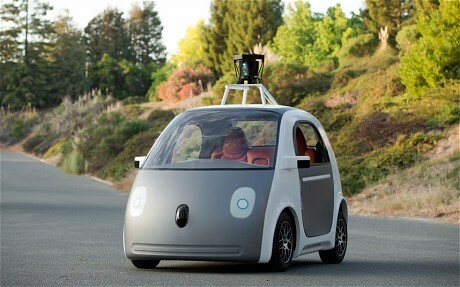 [www.inewsguyana.com] – Google is to start building its own driverless car that will have a stop-go button but no controls, steering wheel or pedals. The vehicle is designed to look like a small city car with a “friendly face” and uses a soft foam-like material where a traditional bumper would be to make it seem less threatening. Each car, which will have two seats, will have a top speed of 25mph to begin with to help ensure safety. Google co-founder Sergey Brin unveiled the plans at a conference in California, where a prototype for the new vehicle was taken for a test drive. “We’re really excited about this vehicle – it’s something that will allow us to really push the capabilities of self driving technology, and understand the limitations,” said Chris Urmson, director of the company’s self-driving project. After several years of testing everyday cars modified to drive themselves with the help of sensors, navigation equipment and computers, Google will now build its own car from scratch. For the initial 100 test vehicles, extra controls will be fitted so one of Google’s test drivers can take over if there is a problem. However, Mr Urmson believes that over time they will be removed entirely as people gain more confidence in using self-driving technology. Mr Urmson said driverless cars would improve road safety, calling the development “an important step toward improving road safety and transforming mobility for millions of people”. He predicted the cars would be on the road within a year. The car will use both laser and radar sensors along with camera data to navigate without a driver and allow it to “see” several hundred metres.